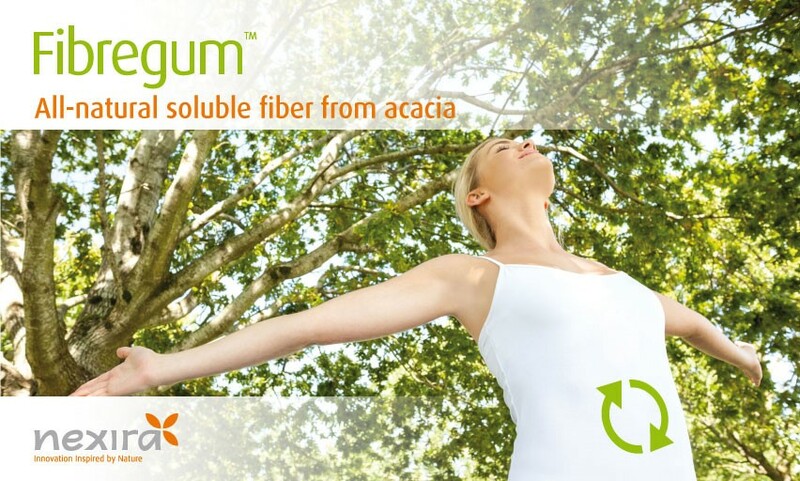 The Fibregum™ product line provides all-natural dietary fiber based on 100% acacia gum. With 90 % fiber content guaranteed on dry weight, Fibregum™ is the choice ingredient for fiber fortification of finished products. Fibregum™ is clean label—and, because it is 100% vegetable, GMO-free and available in organic grades, highly appealing to consumers. Clinical studies have demonstrated the numerous health benefits of Fibregum™ on digestive health and its prebiotic properties at a daily dose of ten grams. Fibregum™ is the perfect natural, healthy, and convenient solution to meet your clean label requirements. About James LaValle, R.Ph., C.C.N. 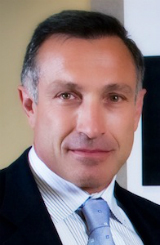 James LaValle is a nationally-recognized clinical pharmacist, author, and board-certified clinical nutritionist. After serving thousands of patients over 15 years at the LaValle Metabolic Institute, an interdisciplinary and integrative medicine facility in Cincinnati, he went on to found the Progressive Medical Center in Orange County, California. James is best known for uncovering the underlying metabolic issues that keep people from feeling healthy and vital. He is the bestselling author of 20 books, most recently, Your Blood Never Lies and Cracking the Metabolic Code. He was named one of the “50 Most Influential Pharmacists” by American Druggist magazine. Hello and welcome. I’m Danielle Lin and this is Science of Your Life, a curated library to help you as a product developer, formulator, or industry innovator to locate and navigate the leading, clinically based nutritional ingredients in the world with proven efficacy, scientific substantiation, and sustainability. Today we are going to be discussing the critical and importance of gut health looking at the worldwide growth of bowel pathology such as Irritable Bowel Syndrome (IBS) and Inflammatory Bowel Disease (IBD). The overall interest in this category is increasing because IBS now effects between 10-15% of the population globally and everyday 70,000,000 people are subject to digestive disorders. Digestive health is complex, and it involves several mechanisms. We have learned that fiber plays an important role such as the prebiotic effect, the intestinal barrier protection, and transit modulation. There is a strong understanding between the link of fiber and overall health and there is also considerable confusion as products flow rapidly into this dynamically increasing lifestyle category. Joining me to clarify the most beneficial aspects for addressing digestive diseases and to educate us on one of the leading branded and science-based ingredients in the category of soluble dietary fiber is Dr. James LaValle. I am so excited that he is here, and I will tell you why later, but you are going to be…when you hear what we will discuss and how relevant this is to if you are developing products. The branded ingredient is Fibregum™ from Nexira, the world leader in acacia gum. Dr. LaValle is a nationally recognized Clinical Pharmacist, Board Certified Clinical Nutritionist, and founder of Metabolic Code Enterprises. He is a leading practitioner in anti-aging and regenerative medicine and is also the best-selling author of 16 eBooks, 20 books (including Your Blood Never Lies and Cracking the Metabolic Code). He is leading the way with the development of a new platform called Metabolic Code Assessment. I’ll just be honest, when I got Mercury poisoning I literally (I live in Salt Lake City, I’m Danielle Lin if you’ve never heard any of these before, this is Science of Your Life and it’s just about that) got on a plane and I flew to Cincinnati and then, I guess, was it Cincinnati and Kentucky, Dr. LaValle? I know I landed in one place and in the next block I was in another state. Science of Your Life with Danielle Lin, C.N. and James LaValle, N.D.
Danielle Lin, CN: It’s very confusing. I have to say I have gratitude to you for (I believe) saving my life. I was going down fast. So, I’m thrilled you are here. You understand the body better than most people that I have known on this planet. I know that you said to me this is so exciting because of what is happening in the world of digestive orders. So, I’m just going to let you grab it and talk about why do you think this is happening now? Dr. LaValle: It’s really, I think, fascinating from a clinical one and it’s frustrating. I have a lot of patients who come into our offices, and I work in developing programs for large organizations. The distress is on its way up and there’s several reasons for it. One there is a lot more stress. People are a lot more stressed out whether it’s email or texting or just the whole aspect of living in that digital age. People are really being pushed and we know your gut gets leaky. When you create more stress hormones you send a messenger compound into your gut that literally opens the junction or the lining of the epithelial cells of your intestine and when those cells open-up you begin to become more reactive. So, people have more irritable bowel, more of what’s known as leaky gut, or if you want to talk about it in traditional medicinal terms but permeability issues. So, proteins from your diet now permeate through that gut lining, now hit the bloodstream, now your immune system is reacting to it. So, this is a big issue because lots of Irritable Bowel Disease, lots of Colitis. The big trick is now if you have looked at some of the recent literature that has come out there’s even some evidence that conditions such as Parkinson’s or Auto-Immune Disorders may be rooted in leaky gut. So, really getting gut integrity at the front of your healthcare. Danielle Lin, CN: Alright, so what we are going to do is continue in these segments of Science of Your Life. We’re going to talk about the integration into your healthcare system, what you need to know if you are a formulator and if you are going to manufacture into this category the essential elements that are critical to our time. I’m with Dr. James LaValle, I’m Danielle Lin, this is Science of Your Life. Dr. LaValle: I think it’s amazing that they have been on the forward edge of fiber for over a century. What’s even more amazing is I think fiber is more relevant today than ever. So, you know, that hundred years of commitment is (honestly) interesting because more and more people are not meeting their needs for fiber. So, if you are talking about the body’s need you would want to maybe get between 25-35 grams of fiber a day. The problem is that most people aren’t meeting those needs and when you don’t meet those needs that’s going to disrupt your digestive health. I think there’s a strong play. Fiber was kind of popular 30 years ago. Now we’ve got way more food allergies, way more leaky gut, and we need new solutions for fiber, fibers that aren’t going to irritate people’s gut lining. I think that’s what’s interesting about Fibregum™ from Nexira is that they’ve got these great studies that show that this type of fiber, this soluble dietary fiber, does not create digestive upset. Which for a lot of the other prebiotic type digestive fibers that are trying to be in the market, they cause problems. I know, Danielle, we talked about what diet is popular right now. I know you have been real passionate about the FODMAP Diet. 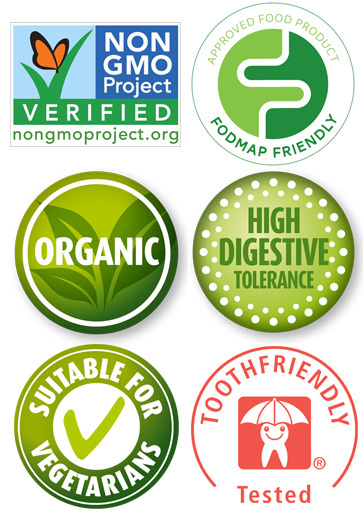 To have a fiber that people can use and stick on the FODMAP Diet (which was specifically developed for Irritable Bowel) I think it’s incredibly important and relevant. That diet is trending for the healthcare space. Danielle Lin, CN: Yeah, even now more than gluten free. Let me jump back to something because the symptoms of IBS, any of the things surrounding this category, what causes the extraordinary pain and the bloating? Dr. LaValle: The biggest thing that happens is that you get a disruption in the beneficial flora and then you get changes in osmolality in the gut as that gut-lining is inflamed or compromised and so, you get gas (because of unfriendly flora growing and not enough feeding of the friendly flora). So, you get gas and abdominal displeasure from that, but then you get changes in osmolality as well where the gut lining is now changing the way its absorbing water. So, you can get inflammation and non-rhythmic peristaltic effect in your gut. So, now you’re not moving your feces along as the fiber is being utilized. Danielle Lin: What stimulates that the most? Is it food? Is it (you mentioned) stress? What else increases it? We’ve talked about sugar. We’ve talked about things in food, the lack of the proper things, but what is knocking it over the top? Dr. LaValle: I think it’s a combination of things to be honest. I mean, you know, even when you see the research on the fact that, you know, pesticides. So, people are eating foods that are high in pesticides. That’s altering the immunologic drive and the gut as well. So, stress is doing it, food is doing it, whether you are reacting to gluten. You know, gluten was a great bellwether for understanding that we are in this relationship with food and the types of foods we eat dictate what is going on. Danielle Lin, CN: The impact of food and other possibilities. We are going to grab that in the next segment. I’m Danielle Lin with Dr. James LaValle. We’re talking about gut health and this this case Nexira and Fibregum™ and we will tell you more about it when we return. Dr. LaValle: Right. The other things that I think you have to understand is the #2 most prescribed drug in the United States right now is Proton Pump Inhibitors or acid blocking medications. That tells you how off our digestion is. The problem is if you use those types of medications you perpetuate the disruption of the rest of your intestine even though your stomach might feel more calmed down. You change the pH of the intestine, now unfriendly flora is growing, and you lead toward, once again, the epithelial cells or the mucosal cells of your intestine starting to get disrupted due to improper pH. The wrong bugs are growing in the small intestine and the large intestine and so these are complicated problems. One of the things I think we don’t realize is that even for…it’s very popular now for people to do, you know, bioidentical hormone replacement therapy. People are worried about say for example even estrogens from the environment. If you don’t have enough fiber in your diet you can’t detoxify estrogen or process hormones in your body. A lot of people don’t realize that. Dr. LaValle: Fiber is essential. It’s essential for proper hormone processing. So, there’s a lot of different layers to this effect of yes, it helps to correct leaky gut through the healing of the mucosal cells and then feeding the beneficial flora as it traverses through the intestine as you take it and it ferments and you improve the gut flora, you are getting a direct effect, but you are also getting these effects of balancing of hormones…better glucose regulation. Look, the other part, you talk about how many people have Irritable Bowel, there isn’t an insulin resistant or diabetic person in the world that wouldn’t benefit by talking Fibregum™ because it has a glycemic effect. Danielle Lin, CN: Let me ask you then, what are the research and clinicals show specifically to this type of fiber with the acacia gum and the Fibregum™? make the short-chain fatty-acids from those healthy bacteria that support gut health. So, the short-chain fatty-acids help to build those mucosal cells back up. That’s been proven in studies. When you take this fiber and when you take Nexira’s Fibregum™, those properties have been shown in studies. The other one about glycaemia, you know, they did a study looking at Fibregum™ with glycemic response and there’s a definite blunting of a rising glucose after the consumption of sugar when you take Fibregum™. Now, why is that important? The #1 thing that triggers inflammation in your body is post-meal rise in glucose. Danielle Lin, CN: So, when we return we’ll talk about the dosage. If you are formulating, the fact that Nexira (spelled Nexira) innovations inspired by nature is a perfect match when you are moving into the new trending in the marketplace of healthy living and lifestyle. I’m Danielle Lin with Dr. James LaValle. Danielle Lin, CN: We continue talking about a branded, raw ingredient called Fibregum™ and if you were in the marketplace it’s brand trademarked as Fibregum. This has an enormous, I think of all the things I looked at in this category, I don’t know a company that has the density and experience in years. It is made from acacia gum trees. The company is called Nexira. If you want more information you can go to Nexira.com or info@nexira.com. The important things to note here about this ingredient is that it is odorless, it’s colorless, it’s flavorless. You can put it in foods, bars, cereals. It’s a very workable powder formula that is also excellent and suitable for vegetarian/vegan diets and health formulations. They can come from tablets to capsules to beverage to food formulations like I said. So, it’s a very diverse fiber. Danielle Lin, CN: Dr. LaValle is joining us. Dr. LaValle, we’re talking about the science, I asked you about the dosage. I mean, you know the history when you start working with companies and why it’s so relevant and important to have the science behind it with companies with experience but address that when you start looking at formulations and dosages. Dr. LaValle: Well, formulation-wise, you must think of what is my target? Am I going after a glycemic target? Look, there’s people who really minimize their blood sugar disturbances just by using fibers. So, there could be some significant improvements that happen by utilizing the correct fiber. So, you could have a wide range of applications maybe adding prebiotics or adding other intestinal agents that are anti-inflammatories. You know, turmeric is trending hot right now. There’s a lot of things you could do to combine Nexira’s Fibregum™. So, the dosing will be between 5-25 grams in a day. A lot of it has to do with, once again, what your targets are and what you’re going to combine it with but there’s information that up to 50 grams a day is well tolerated in their human studies. So, it’s got a wide range of flexibility from the formulation perspective. Dr. LaValle: You could absolutely combine this with a probiotic. It has prebiotic properties. When it feeds the beneficial flora and causes the flora to make short-chain fatty acids, that is a prebiotic. You’re nourishing the flora and the flora is now able to do its functions better, that’s prebiotic. So, you could add another prebiotic is you wanted to it, you could rely on this as a prebiotic and then add a probiotic with it and I think some forward-thinking formulators are going to have some very creative opportunities to take this fiber because it has some interesting studies behind it and how you can apply those studies. As you know, Danielle, to create the correct marketing spin you’re looking for you create an effective product that has value. Danielle Lin, CN: Yes, and when you look at that, their technology, let’s talk about that for a minute. They seem to have created over the years a specific technology and they also refer to fermentation. Will you address that? Dr. LaValle: When they pull the acacia, all the acacia is organic, which that is interesting that the fiber is organic. It has all sorts of, I know you are going to go through the certifications that they have, but that fermentation process that takes place is interesting because when you take it, it gently ferments and breaks down through your body and they know that is the process that occurs, and I think that’s a very interesting process that they own, and it makes sense. So, they’ve perfected (over 100 years) the extraction process, the purity process, the ability to get the raw material without using any contaminating or harmful chemicals or compounds. This is all very powerful because it’s what the consumer is looking for today. They want to put things in their body that is safe and that they know are clean. www.Nexira.com and infor@nexira.com, they are based in France and an important fact is that when you put Fibregum™ on the label of your finished products in the marketplace you have the value of the scientific evidence behind it. I’m Danielle Lin, Dr. LaValle – It’s been a pleasure, and this has been Science of Your Life. Founded in 1895, Nexira is a global leader in natural & organic ingredients and botanical extracts for the food, nutrition and dietary supplements industries. 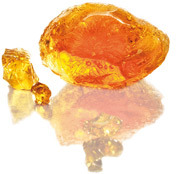 Nexira built its reputation as the world leader in acacia gum and now manufactures a wide range of natural products with recognized health benefits. Its portfolio of products includes highly functional and nutritional ingredients, and active botanicals for digestive health, weight management, stress management, sports nutrition and cardiovascular health. Nexira operates on five continents, with six companies, eight manufacturing plants and an extensive network of partners in more than 80 countries. With the increasing demand for natural and high quality products, traceability, and environmental responsibility, the market for organic products is growing significantly. With its history of seeking natural sources and its heritage of uncompromising quality, Nexira is well positioned to serve this new generation of consumers.We offer a full range of organic products certified by ECOCERT, which also complies with NOP standards.